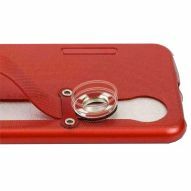 Universal waterproof case suitable for smartphones up to 5.5 inches, featuring hermetic closure with clip. Thanks to the solid construction materials, this case protects your smartphone from water, sand, dust and atmospheric agents. Resistance when immersed in water at a depth of 20mt. Universal waterproof case suitable for smartphones up to 5.5 inches featuring hermetic closure with clip thet protects the phone from water and irritating sand. The special material allows you to use the touch. It is possible to make video or take photos without removing the smartphone from the bag. Resistance when immersed in water at a depth of 20mt.